Besides these four ink cartrides, is there another cartridge for the Epson CX5400 printer? If yes, I want to know the name of that cartridge? If not, what goes in the big part opposite the ink cartridges because it's missing in my printer? I have lost my instruction book for the CX5400 printer? I was wondering whether the recycled cartridges that you supply contain ink or are they just the cartridge on its own? Do compatible Epson CX5400 cartridges contain ink? As with all of our compatibles, the premium brand recycled Epson CX5400 cartridges are filled with a high quality ink that resembles Epson ink and we also give you the same quantity of ink, if not more, than the amount held in the genuine equivalent cartridge. Do you have refillable cartridges for the Epson CX5400? We do sell recycled cartridges (premium brand) cartridges that have already been refilled and we sell refill kits that you can use to refill your empty cartridges. All of our cartridges and refill kits for the Epson Stylus CX5400 are listed above. Are your best value premium brand cartridges for the Epson CX5400 refillable when they've run out of ink? Our compatible Epson Stylus CX5400 cartridges are refillable. However, please note that the cartridges need to be refilled before they are reading as empty or it is not possible to reset the chip and once the cartridge is reading empty it will always read empty in your printer. Epson CX5400 printers produce stunning document and image prints. There'll come a time when your Epson CX5400 will consume all of your printer ink, and when it does you'll soon come to realise that brand new Epson CX5400 ink may be quite costly. However, you don't have to waste time worrying about paying the high asking prices you'll uncover on the main street because here at Cartridge Save you can find all the Epson CX 5400 cartridges you'll ever want at little cost. Save money on your ink by ordering with Cartridge Save! You don't have to pay the high cost of a CX-5400 original cartridge or CX5400 compatible ink on the main street when it's easy to save some cash buying online with Cartridge Save. Enjoy one hundred per cent satisfaction when you order your Stylus CX5400 ink cartridges from us because they are underwritten by a no quibbles money back guarantee. Remember that every order also comes with free delivery, generally delivered to your doorstep on the following working day! The Epson Stylus CX5400 all-in-one allows users to print, scan, and copy from the convenience of their own homes or offices. It also has standalone copying functions and uses individual ink cartridges to lower running costs. The Epson Stylus CX5400 inkjet printer has a maximum print resolution of 5760 x 1440 dpi. 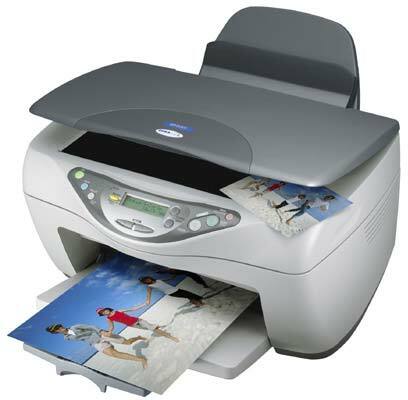 It delivers good quality scans and copies and can even print borderless photos. However, the Stylus CX5400 does not have fax. Connectivity options are also limited. The Epson Stylus CX5400 modern multifunction machine has a flatbed scanner on top and a printer at the bottom. The paper tray can handle 150 sheets at a time and a wide range of media types. The control panel is easy to use; it has a monochrome LCD display and function buttons. The Epson Stylus CX5400 colour printer has a USB port at the back for connectivity. The convenient Epson Stylus CX-5400 all-in-one printer can deliver good quality output from scans and copies to text documents and photos. The Epson CX5400 colour inkjet is affordable and running costs are cheap, thanks to the use of individual ink cartridges. Print speed for black text is impressive at 22 ppm. The Epson Stylus CX5400 inkjet printer does not have an automatic document feeder and a fax machine; the CX5400 could have been better with hi-speed 2.0 USB ports instead of the USB 1.1.